Entered by: Wind is our Friend C.V. The ship was built in the Netherlands in 1958 as ocean going fishing vessel. She was fishing for years in the North Atlantic. Atlantic Ocean Co Ltd from Merseyside bought the ship and named her Atlantic. She was registered in Fleetwood and fishing under the Red Ensign. 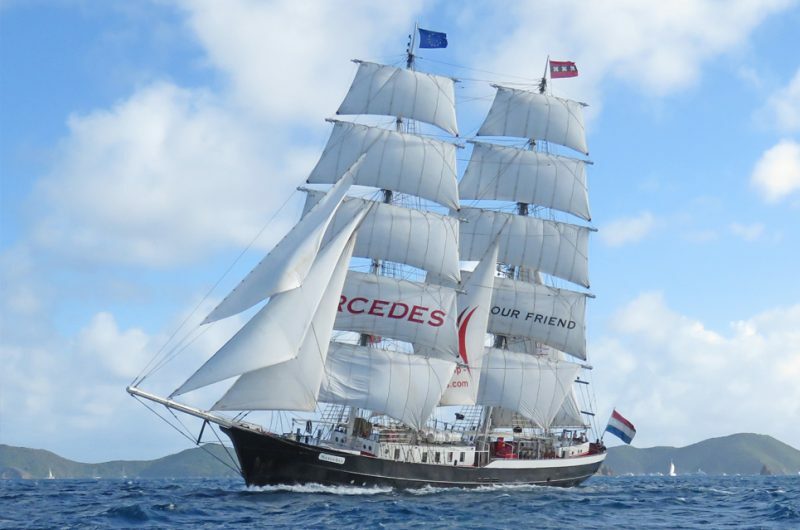 After 14 years experience with commercial sailing ships the Mercedes is the new project of Wind is our Friend C.V. The very strong hull with its beatiful lines remained of the fishing vessel. The ship was redesigned and built to sail international waters. She is the first sailing ship built with highest safety standards according to the new European guidelines. 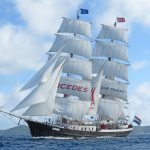 Mercedes is one of the youngest ships in the international fleet of Tall Ships - a brig with an impressive rigging and a total sail areas of 900m2. During the summer season, Mercedes sets sail on different maritime festivals along the Northern European coast. You explore destinations, meet the crews, and become familiar with our friendly crew. During the winter season, Mercedes does day sails from St Maarten, Caribbean. You really learn sail handling, meet the crew and passengers, and all in the beautiful Caribbean. Conditions about allowance and compensation for travel expenses are open to discussion. On board, you'll become a crew member for a limited time, learn to handle the sails, and navigate and maintain the ship. You'll sail in maritime festivals and corporate charters along the Northern European coast in the summer. Join Atlantic crossings in September/October fro east to west and back in April/May each year. The Caribbean day sail programme is open from November to April each year.